It seems that studio potters worldwide have fantastic dreams about wood-fired pottery. I was born and grew up in Japan, and moved to the UK over 20 years ago. I am also one of dreamers that believes in wood-fring with Anagama (cave kiln) and in following the ancient potter’s wisdom. Asian potters and potters in the rest of the world have a different understanding and a different concept of wood-firing. In Europe and the USA, many studio potters and artist potters fantasize about magical results through wood-firing. Yet they are not paying much attention to the clay and the firewood they use. People are invited to wood-firings and atmospheres around kilns are more likely to be a barbeque party with drinks. 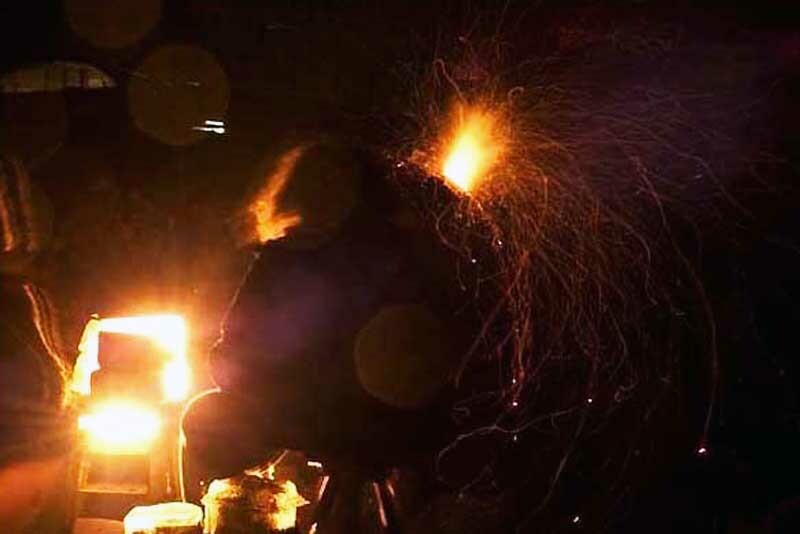 In Japan, most wood-fire potters shut their gates during their firing, invite no visitors, try to create a calm environment and concentrate on the firing. They prepare as much as firewood as the can afford, and place offerings of sake, rice and salt to kiln gods on the kiln near the fire-mouth. 3-4 day firings are considered to be rather short and over 6 day firings are quite normal among Japanese wood-firers. These differences seem like between European ‘Alchemy’ and Japanese ‘Tantric Buddhism’. I just hope that I am able to produce beautiful vessels some day, using my simple Anagama with split-firewood and tenacious labour. This entry was posted in wood-firing (kamataki) and tagged wood-firing. Bookmark the permalink. I too dream of wood firing. Living in manchester is frustrating. Legaly it is designated as a SMOKE-FREE CITY! even a small sawdust firing in a metal bin is illegal.! I am trying to find a sympathetic farmer over the nearest border in Lancashire. Did you have to seek permision for your secret woodland kiln ? 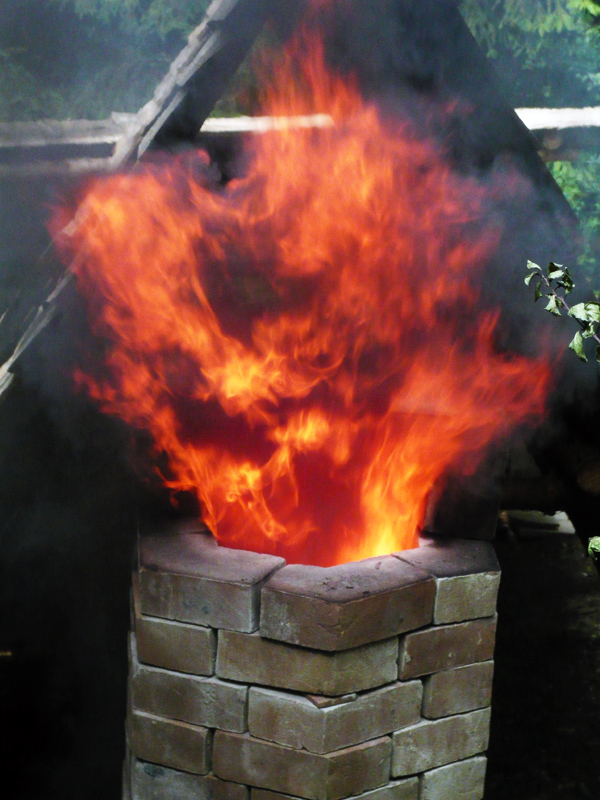 Not all somoke is hazardous and wood-fired smoke is one of safest smoke we can make. Even though it produces and spreads black smoke and soot, it is ‘ECO FRIENDLY’. If we plant more trees, grow and look after, we should not worry. It seems paradoxcal. Most people in Manchester must believe they are safe living in the ‘SMOKE-FREE’ city. Yet they inhale invisible toxic fumes without realising it. I forgot answer your question about seeking permission for wood-kiln firing. I would not seek it, if I were you as I work in a private property and only fires few times a year(althoug some of my firing proper takes over a week). I say, my kilns and studio are temporary constructions. Asking any permissions to authorities means you are inviting big proplems by yourself. They would not understand your idea with good intent to environment. Act wisely and find a loophole when you really need an official permit. I thank you for your reply. Your advice is good and I know what you mean about toxic urban fumes Vs simple organic soot. manchester is a paradox!! Since I last wrote, i have spoke to a friend with a garden ( I live in a flat with no garden). 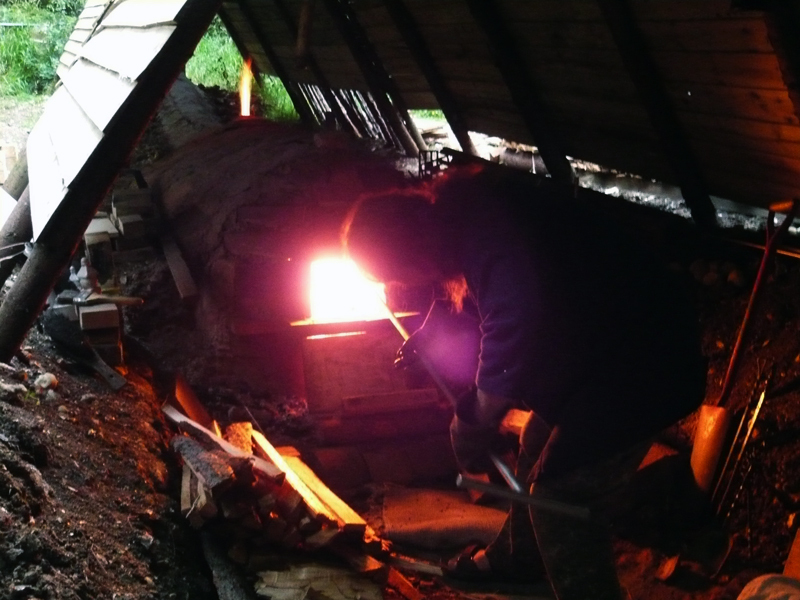 She will let me make small quick fires so I will make a small kiln there and use propane. It’s a small start but at least I can try reduction or try throwing salt or ash in by hand. Once again thanks for your advice and time. I love your website and the philosophy you espouse about pots, kilns and nature. Thank you Gas. And if you ever need an assistant for firings I would be glad to help (and I would willingly take your test first!) Regards. Paul.